This July we visited the lovely small town of Sennen Cove in Cornwall. You can look down on the village from a ridge at the top of the hill, a view painted by Jan Gordon in his "Small Coast Town." I have a copy of the first volume of "The Apple (of Beauty and Discord)" and on the fourth page can be found a reproduction of a woodcut by Cora Gordon showing part of the town of Sennen Cove. 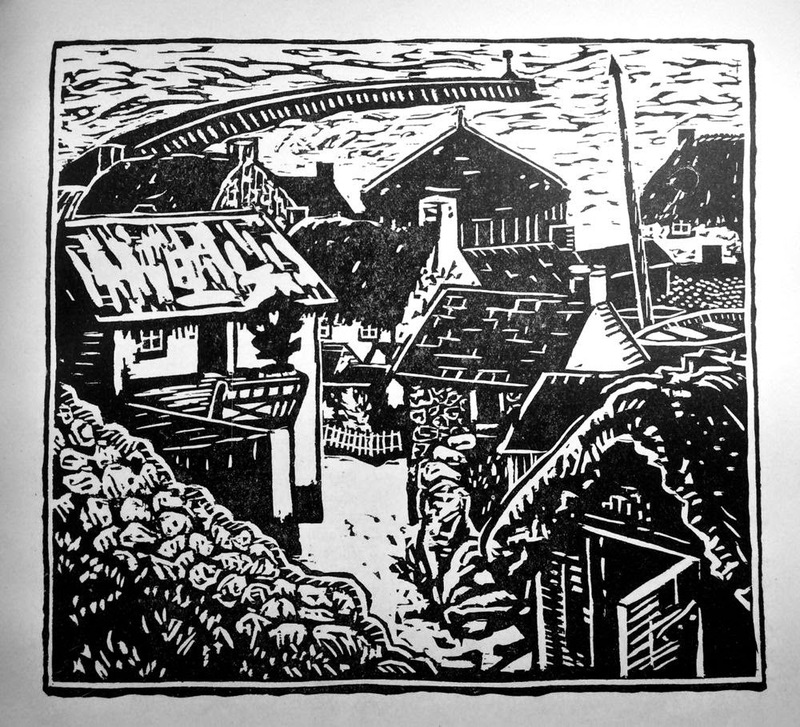 Cora Gordon woodcut of Sennen Cove in "The Apple (of Beauty and Discord)"
The woodcut shows the closely spaced stone houses and the breakwater made of granite blocks. The Roundhouse can also be seen. The view is very similar today. We clambered over the breakwater and explored some of the rock pools. This is the Sennen Cove breakwater seen in Cora Gordon's woodcut, here shown with two of the grandchildren of Jan Gordon's godson. Wandering through London the other week I stepped off the tube at Notting Hill Gate and walked to Clanricarde Gardens, where Jan and Cora Gordon lived after their return from France in 1932. Jan Gordon died here in 1944. My father visited the flat shortly after Cora's death in 1950. This is what the exterior looks like in July 2014, number 48 to the left, number 50 to the right. 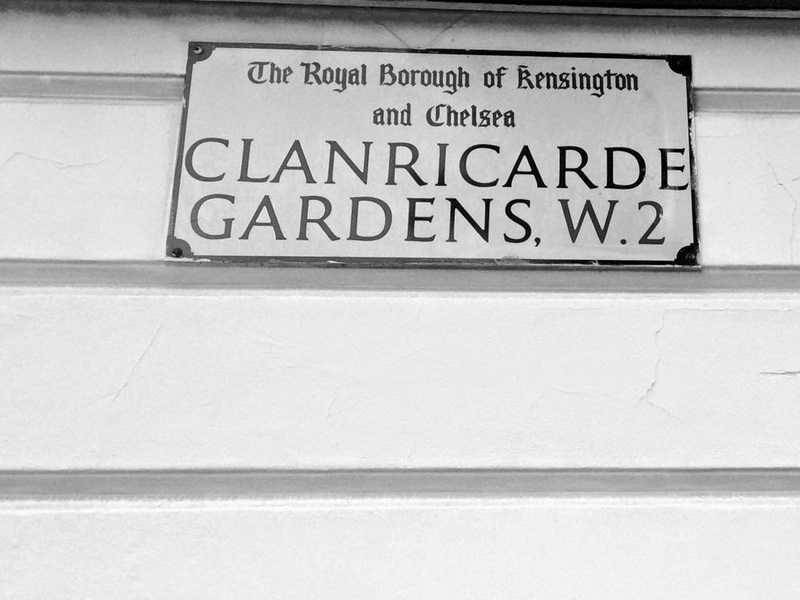 Clanricarde Gardens, W2, numbers 48 (48D was their residence after the war) and 50 (50C was their residence before the war). Views of the interior are shown in the following fine painting by Cora J. Gordon and also in "The London Roundabout", published in 1933. Jan Gordon at work in the Gordons' Clanricarde Gardens flat. The significance of the orange cat is discussed here.